Learn how SDKBOX helps you develop and integrate mobile services. SDKBOX helps you manage everything about using third party SDKs in mobile applications: rapidly select, integrate, verify, and update live servies from top suppliers. SDKBOX makes it super EASY and FREE for mobile developers to integrate 3rd party SDKs into their apps. Available for Cocos2d-x/Cocos, Unity and Unreal, SDKBOX does all the tedious SDK validation and maintenance work so that developers won't have to. Need more help with SDKBOX? We have a great support area on our website that offers many ways to get your issues fixed. SDKBOX Installer is a command line tool. It lets you integrate a mobile service with a single line of command. Learn more about the installer. Download the SDKBOX plugin bundles and follow the detailed instructions to integrate the service SDK. You can review everything before modifying your app. Monitor and manage SDKs through a remote cloud dashboard. Remotely manage, update and launch configurations for SDKs in a live application. Learn more. Avoid IAP frauds. Automatically and transparently check IAP purchases against Google or Apple servers for authenticity. Learn more. Already decided on the integration you need? Get started with the integration by clicking the button below and choosing automatic or manual. 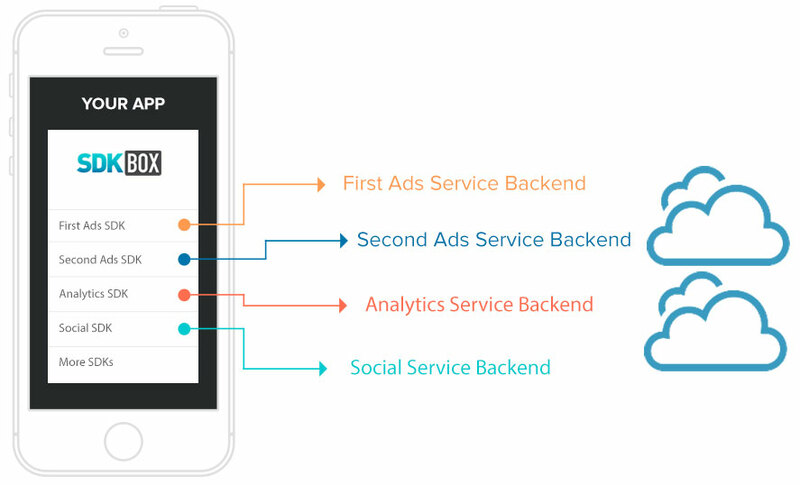 Service-Landscape: Want to become a new partner? Get in touch with us and we can help you become a new partner with us. It's really an easy process!